According to the reports, Facebook staffers devised a fix in 2011, but executives rejected the fixes in order to maximize profits on gaming apps. According to internal memos disclosed through a Reveal News lawsuit, as early as 2011 Facebook supported “Friendly Fraud”, a Facebook term used to describe users accidentally spending money on games. Due to the level of Friendly Fraud committed, Facebook might have violated the law when it allowed such practices. Facebook’s term “Friendly Fraud” may sound harmless. However, “Friendly Fraud” happens when an app deceptively convinces a mobile user to spend money without meaning to. To a certain extent, Facebook’s revenue relies on it. While Facebook receives its massive revenue streams from a variety of sources, one of those sources is allowing unknowing spenders to waste their money, usually in games they play on Facebook. Because of the hidden costs, some never even realize they are spending money at all – or at least until it’s too late. The Federal Trade Commission (FTC) has laws which limit the amount of money which a company can allow to be spent through Friendly Fraud. In one case, the chargeback rates were 9%, which is four-and-a-half times the legal rate of 2% set by the Federal Trade Commission. For many games it is often hard to tell. And though for adults, they can state the fact that, you are an adult, pay more attention. But the problem is, is that their big spenders are kids. Underage children end up spending thousands of their parent’s money on games without even realizing it. Many children with Facebook accounts do not know their account is connected to their parent’s credit card or bank account. This is not a recent phenomenon. Like the policy where Facebook sold users’ private information to third-party companies without telling their users they were doing so, the policy goes back at least 8 years. In telling their employees to ignore Friendly Fraud, Facebook ignored the fact thousands of customers were wasting money. In some cases, parents lost thousands on gaming apps with no help from Facebook. Even when complaints came, the company continued to look the other way because despite the chargebacks from credit card companies or the many angry parents calling in to resolve the problem. Friendly Fraud became a cottage industry, so if Facebook fixed the issue, they would have to take a drastic financial lose. According to some unsealed court documents (dating between 2010 and 2014) that were used in an investigation report done by Reveal, Facebook has demonstrated a pattern of fraudulent behavior. Over the years, children were spending so much of their parent’s money that the chargeback rates for Facebook games hit a shocking high of 9%. That is 18 times that the average normally would be for a business and 4.5 times the amount considered ethical by the FTC. The Federal Trade Commission consider the red flag threshold for a deceptive business to be 2%. What really takes this issue over the top is the fact that not only has Facebook knowingly continued to scam children, they have turned away any ideas of trying to fix it. In fact, social media companies and tech companies have used the prevalence of Friendly Fraud to justify inaction. With so much online access, Facebook sees itself in competition with other rivals. Apple and Google each have had similar issues, though both of those companies fixed the problem by implementing basic checks on in-game spending. In both cases, the verification process requires kids to enter in a password or credit card info before any purchase. However, though the plan seemed foolproof, Facebook decided against a fix for the problem because it would hurt the company’s revenue stream, which might in turn have hurt Facebook’s stock price. Instead, Facebook executives started to use terms from the gambling industry to refer to underage gamers the social media site was fooling into spending cash. Facebook referred to children who unwittingly spent a lot of their parents’ money as “whales“, which in the gambling world are mega spenders. Only five years later (2016) did the company take a step to curb children away. Five years of neglect allowed Facebook to collect hundreds of millions of dollars from unwitting victims. When the news came out that people had lost massive amounts of cash through Facebook apps, the company did not offer refunds. Instead, Facebook offered ‘free’ in-game items as a way of buying out angry customers. These virtual goods cost the company and developers nothing. 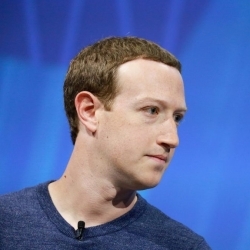 The report shares several stories from families that were affected by Facebook’s neglect, including the lawsuit that brought all the documents to the surface. It is quite surprising that, after so many years of neglect, Facebook did not see a lawsuit sooner. Friendly Fraud could lead to a series of similar lawsuits or the kind of regulations that social media companies have dreaded for years.